Scott A. McGregor received his Bachelor of Arts in Psychology, and Master of Science in Computer Science and Computer Engineering from Stanford University in 1978 with a concentration in Artificial Intelligence. McGregor started his career at the Xerox Palo Alto Research Center working on user interface design for the world’s first personal computers. He then joined Microsoft and led the team that created the first version of Microsoft Windows. From 1978 until 1998, McGregor worked in the software industry. In 1998, he transitioned into semiconductors, becoming CEO of Philips Semiconductors (now NXP), headquartered in the Netherlands. In 2005, he moved to southern California to take on the role of President and CEO of Broadcom Corporation. 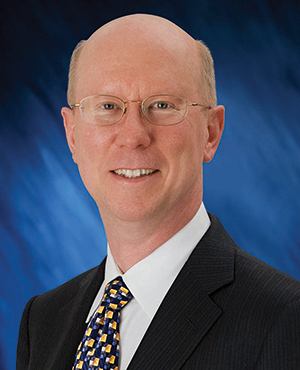 He retired in 2016 upon completing Broadcom’s $37B acquisition by Avago, with the new company called Broadcom Ltd.
McGregor has a deep interest in STEM education and speaks regularly about diversity in STEM. He founded and became chairman of the Broadcom Foundation, focused on worldwide STEM education, which sponsors the Broadcom MASTERS and Broadcom MASTERS International competitions, programs of Society for Science and the Public. He retired from the Broadcom Foundation in 2016 as well. McGregor is active on various corporate boards, and the Boys and Girls Club. He lives with his wife and daughter in San Juan Capistrano, California. McGregor is an alumnus of the 1974 Science Talent Search. He joined the Society's Board of Trustees in 2016.